Enjoy the sunrise each morning from this exceptional home built for optimum ocean views. 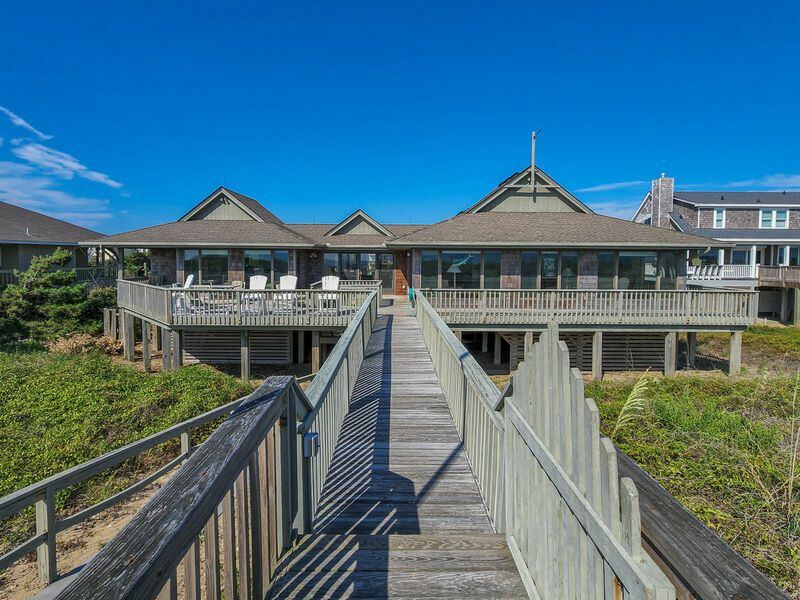 3,500 square feet living area with decks galore, excellent surf fishing location. Light, airy and tastefully decorated with fine art. Close to shops, restaurants. 1 mile from the Wright Memorial Bridge. All on one level. Living/dining/kitchen area with cathedral ceiling; 5 bedrooms (separate master bedroom suite with King, 47” flat screen TV with ocean views and deck access, bath with low-threshold shower with bench and grab bars; 2 master bedrooms with Twins, bedroom with Queen shares bath with bedroom with Twins) each with CATV, 3 baths (with tub and shower), powder room.